Sailing the Seas with Captain Mickey! Each May, Disney Cruise Line sends the Disney Magic across the Atlantic, where it will spend the summer touring Europe. 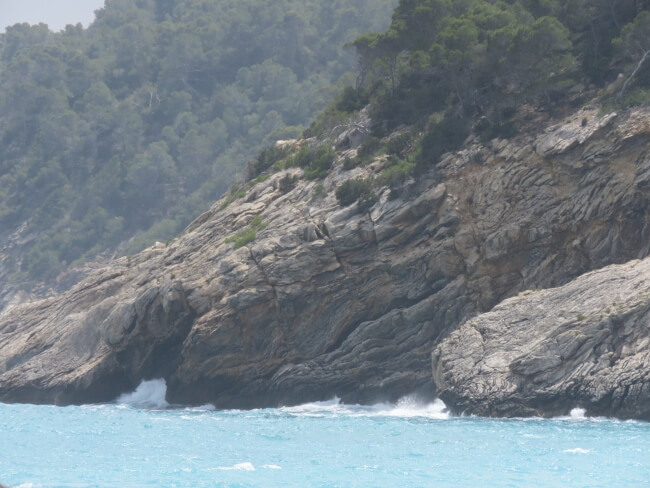 This thirteen night cruise sets sail from Miami, Florida and ends in Barcelona, Spain. It feels more like two, back to back cruises, one week at sea and one week in Portugal and Spain. 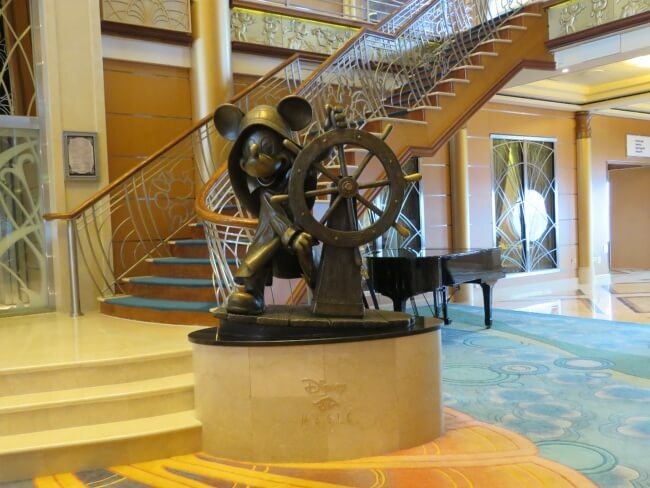 So what is like to spend almost two weeks at sea with Mickey Mouse? And, is it a good experience? We have already booked to repeat it next year! That is how much we enjoyed it. Read on to see what to expect. Before setting sail, we were asked over and over, “won’t you get bored?” Disney Cruise Line always offers a load of activities, especially on sea days. With seven straight sea days, Disney adds even more. Rapunzel’s Royal Table restaurant has opened on the Magic. 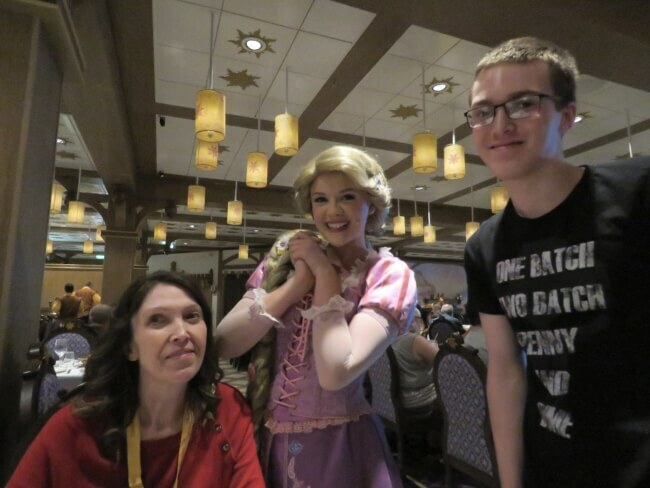 During all Magic cruises, passengers enjoy a dinner show with Rapunzel and the Ruffians. On cruises 7 days or longer, a second dinner show is added. 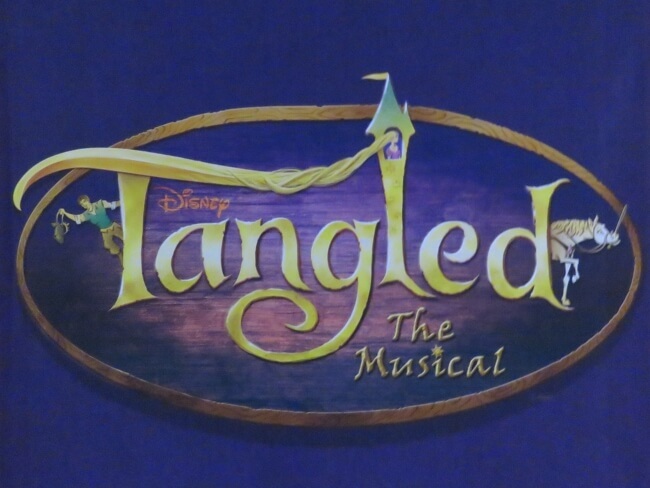 Tangled Day at Sea – The Disney Magic boasts both Rapunzel’s Royal Table and Tangled: the Musical. It is fitting that an entire day with special activities is devoted to the movie. Frozen Day at Sea – While there is no connection, it is still fun. Chefs from Walt Disney World conduct cooking demonstrations. Learn your favorite dance with daily lessons: ballroom, tango, salsa, and more. Lectures and writing workshops are given daily by adult and children’s author Ridley Pearson. More movies. In addition to the recently released Disney movies (including Marvel, Lucasfilms, and Pixar), other family movies were shown: Paddington 2, Peter Rabbit, and Jumanji: Welcome to the Jungle. An extra Disney Cruise Line original production, Once Upon a Song, only shown on Disney European cruises over 7 days. We had read and had heard of nightmare weather on Atlantic crossings. Most of these passed through the northern Atlantic. Many cruise lines cross over to Europe in April. The Disney TransAtlantic cruise sails in May and takes the southern route. We were told that this is specifically due to weather and sea conditions. The weather and sea conditions could not have been better on our crossing. Once at sea, the temperature remains almost constant. Daily high temperatures were consistently 72 – 74 (22 – 23C) with lows of 70 – 72 (21 – 22 C). The skies gleamed a clear blue with fluffy little clouds. 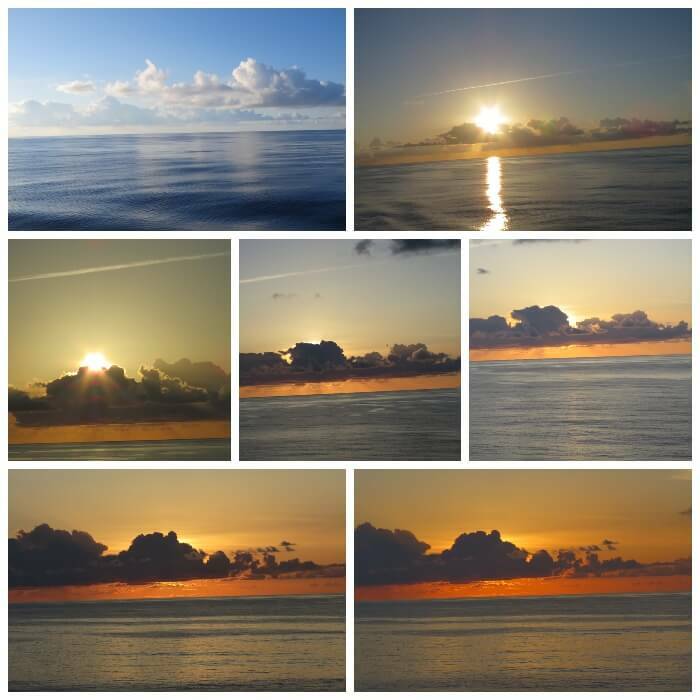 I have never seen or felt calmer seas in the Caribbean, Gulf of Mexico, or Mediterranean. The water was like a mirror for 3-4 straight days. Multiple people, crew and guests, said that even though the southern Atlantic is usually fairly smooth, this was much better than usual. Once we neared land on week two at the Azores, the weather became more unpredictable. Our day in the Azores and the day after were both cool and rainy with temperatures in the low 60s (16 – 17 C). The seas were not as calm, but still could not be called rough. 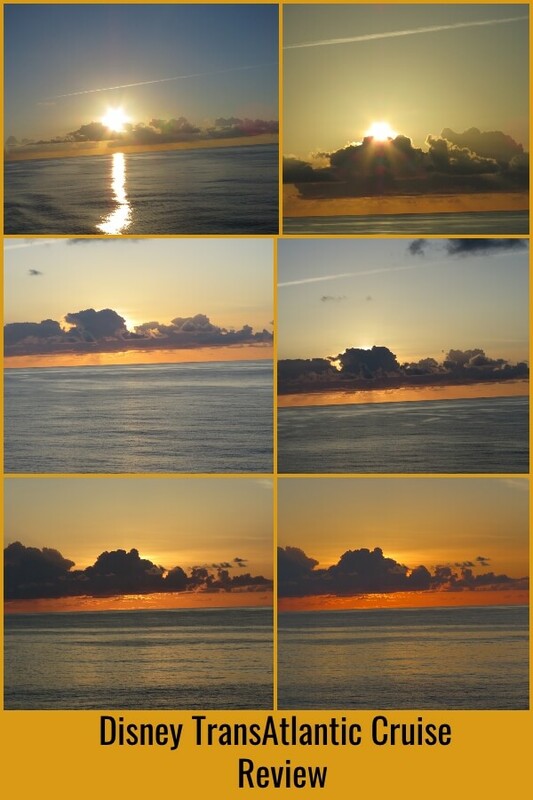 I witnessed some of the most amazing sunsets that I have ever seen during the first week. Brilliant! The Disney Magic has become our favorite Disney ship. Disney has a fleet of 4 ships: Magic, Wonder, Dream, and Fantasy. We have sailed on all four. We prefer the more intimate, smaller ships, the Magic and the Wonder. In our opinion, the Magic boasts the best costumer service of all. The shows are some of the best, too. The new restaurant, Rapunzel’s Royal Table, with its dinner shows really pushes it to the top. Disney cruises are for adults, too. More than any other Disney cruise, the Disney TransAtlantic Cruise consists of older, more seasoned passengers. Only a handful had never cruised before. 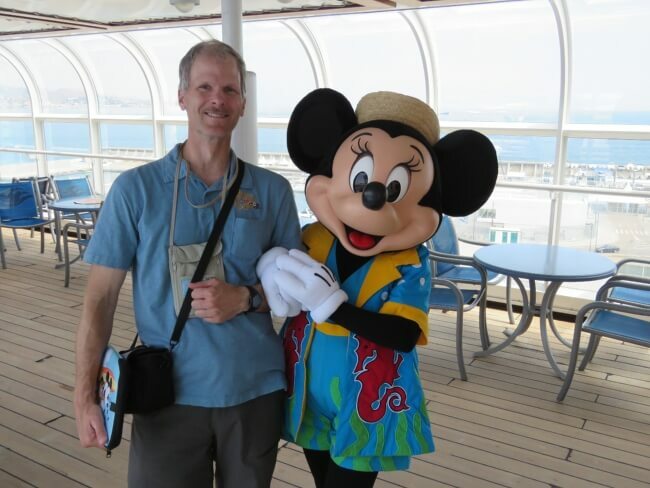 We met many who had taken over 20 Disney cruises. These passengers know the in and outs of cruising. Out of 2100 passengers, 1700 hailed from the US, 150 from Canada, 150 from the UK, and 100 from elsewhere. 1700 were adults with 400 children. Most passengers were over age 55. Almost everyone was a Disney fanatic. Disney Cruise Line rooms are large by cruise standards. As always, we chose a cabin with a portal window. We find these to be a good value with an open feel but lower price than a veranda room. A curtain can divide the room into two parts: one with the queen size bed and the other with a couch and bunk that lowers from the ceiling. This provides some privacy. 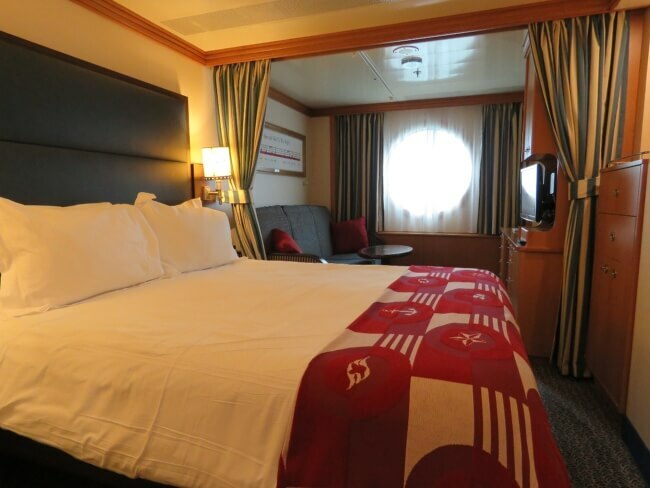 As always, we believe that Disney Cruise line has the most comfortable mattress that we have ever slept on. A gentle rocking motion at night lulls you to sleep like a cradle. The bathroom is divided into two parts. One section houses the toilet and a sink. The other has the shower and another sink. This makes it easy for multiple people to get ready at once. A large closet and multiple drawers gives plenty of place to store clothes. Multiple outlets allow you to recharge cameras, phones, etc. A flat screen TV swivels out from the wall. On demand access to virtually all Disney animated, live, and Pixar movies is provided. A variety of TV stations can be views, too; mostly Disney related. 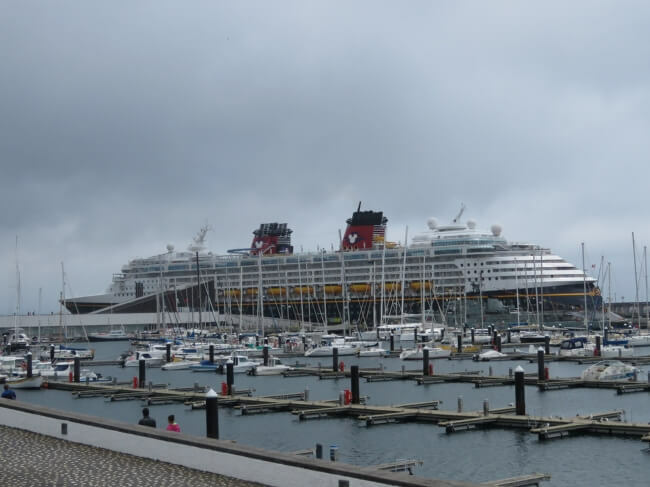 A full week at sea on the Disney TransAtlantic Cruise was a little daunting to us. A week seems like a long time to not set foot or even see land. Nothing could have been further from the truth, though. Almost every passenger was sad when the sea days were over. Disney offers so much to do,..if you want. We were never bored. I packed a book to read during down times. I made it through about 60 pages. From trivia to movies and shows to socializing with other passengers, the time drifted seamlessly. 6 p.m. dining was the only must do on our schedule. 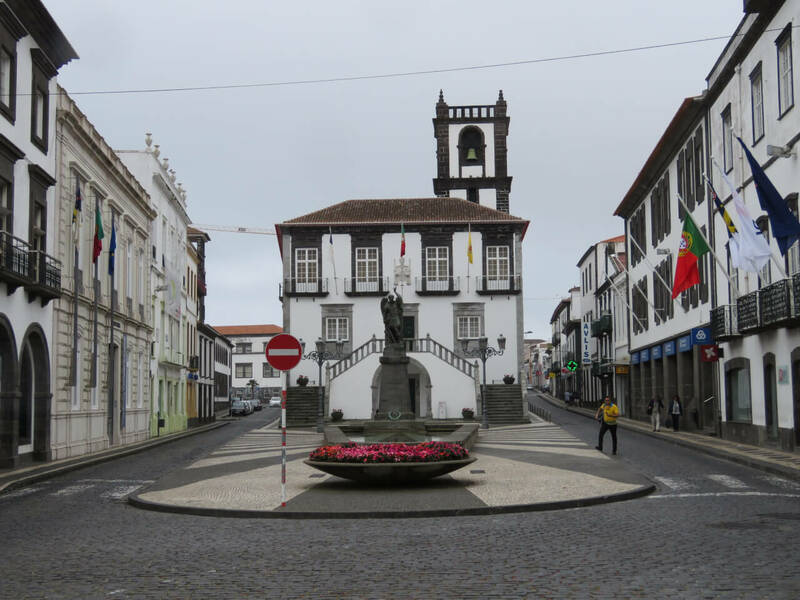 Ponta Delgada is a beautiful island in the mid-Atlantic that is known for volcanoes, lakes, and whale watching. White washed buildings stand out against the deep green surrounding hills and clear blue water. Shore excursions included island tours, tours to the volcano, and whale watching (which was awesome!). Lisbon was another wonderful stop. The city is clean, friendly, unique and amazing. Prior to this cruise, I knew very little of it. Now, I can’t wait to return. Many passengers toured the historic city. Others visited nearby beaches. 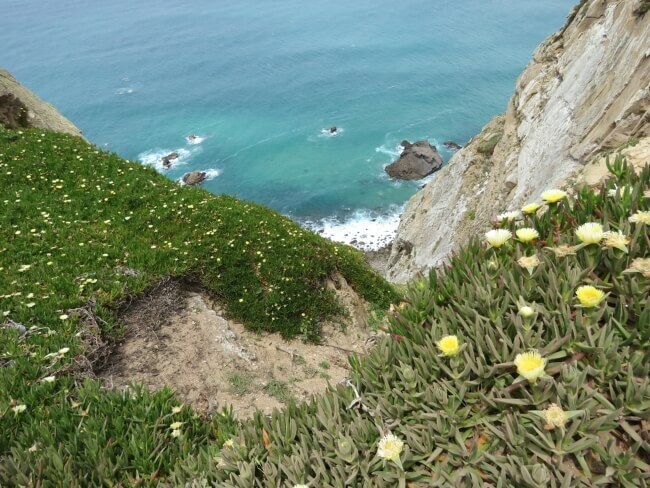 We toured Sintra and Caba da Roca. Cadiz, Spain is the gateway to Andalusia. 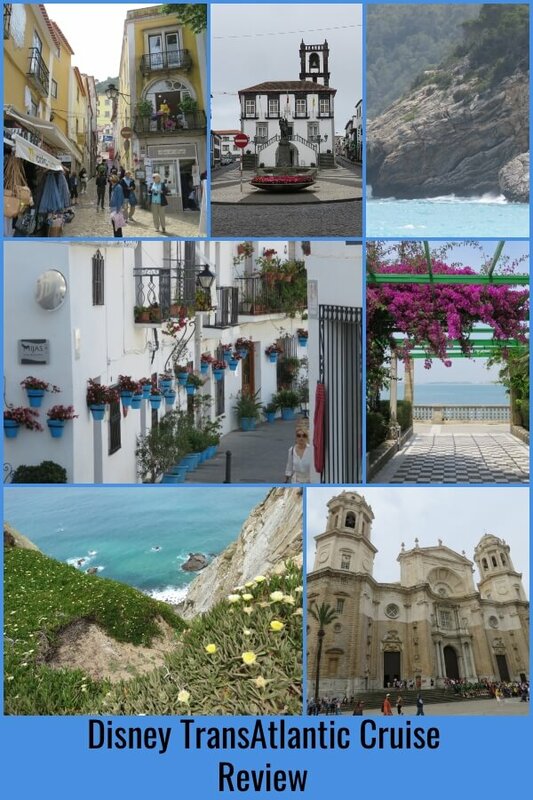 Port excursions include trips to Sevilla, Ronda, and Gibraltar. 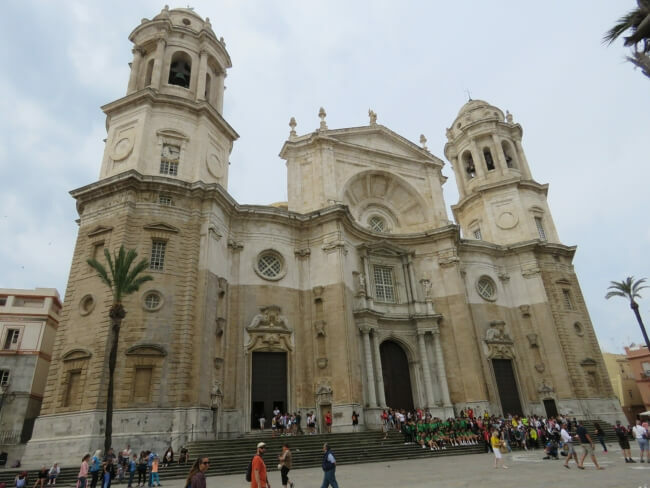 Cadiz itself is rich with history being the oldest city in western Europe. 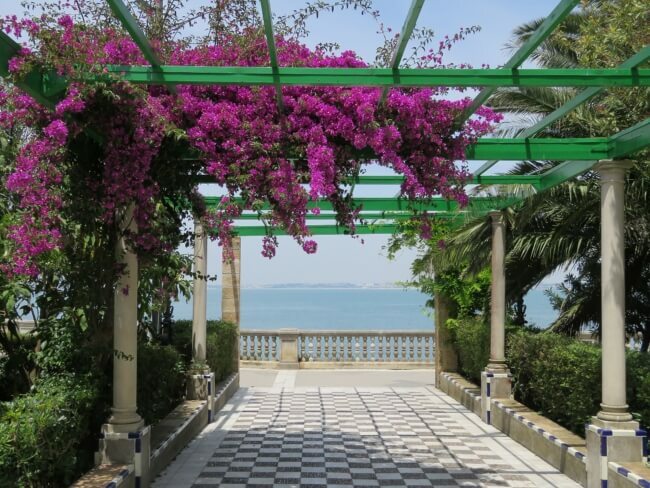 We chose to stay in Cadiz and visit the parks and historic sites. People flock to Malaga and the surrounding Costa del Sol for sun and beaches. 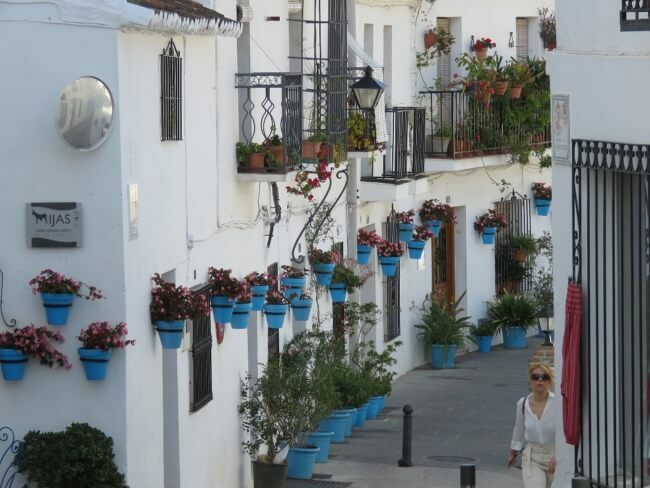 White washed mountain towns like Mijas also make wonderful excursions. Tours included the Alcazar (Moorish castle), white villages, and olive oil producers. We visited Mijas, a stunning, white hill town with post card worthy spots around each turn. Flocks of beach lovers and young party goers descend on Ibiza. Excursions took passengers to the touristy south, the less populated north, city tours, and beach drop offs. In my opinion, and that of many of my cruise mates, Ibiza was a poor match for this Disney cruise. Barcelona remains my favorite city. 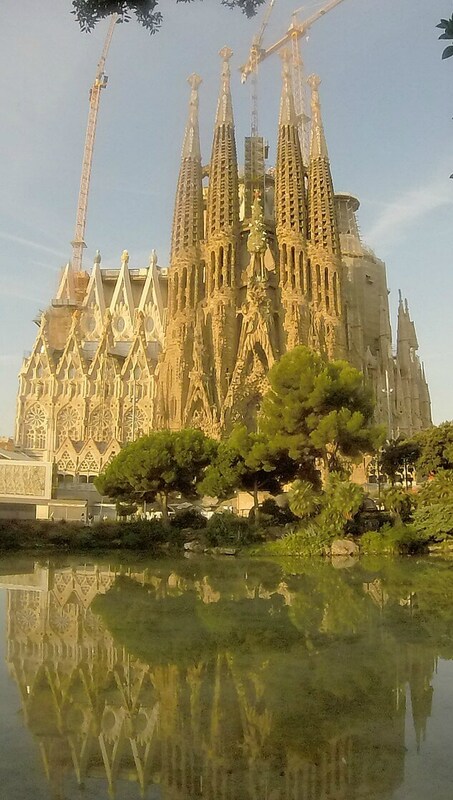 Architecture by Gaudi, beaches, mountains, amazing tapas, Gothic Quarter, and friendly people set Barcelona apart. Being the port of departure, few excursions were offered. Many were staying for a few nights to visit, though. 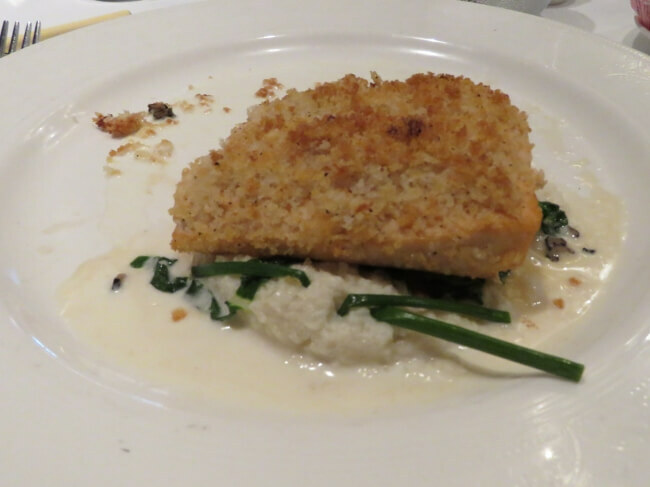 Parmesan crusted salmon filet on polenta! On board all Disney Cruise ships, passengers rotate on a set schedule through three main restaurants at dinner time. Your waiters remain the same throughout the cruise as do your table mates. We honestly love this. 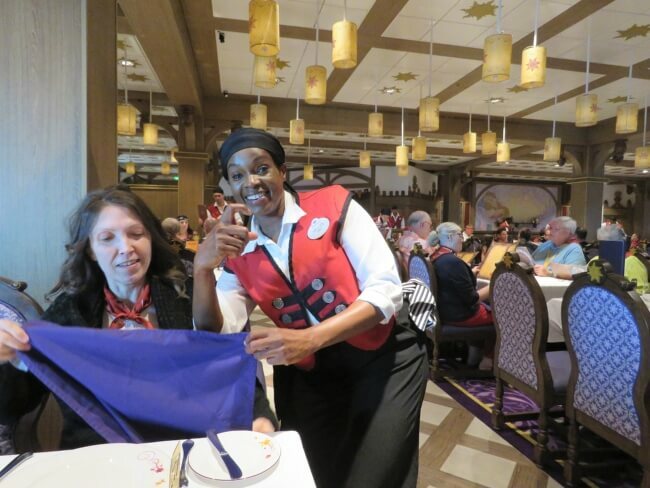 We requested our waiters from our Disney Mediterranean cruise on the Magic: Hellen and Larissa. Hellen still works on the Magic and we were assigned to her. She is a warm and wonderful person. On the Disney TransAtlantic Cruise, entertainment is provided during five of the nights. This sets Disney apart. The food quality ranged from good to excellent, but we were served more food on this cruise that was not in the excellent range. It was a little disappointing. The entertainment during the meals made up for it, though. Lumiere’s is a French restaurant with Beauty and the Beast theming. It is classy and beautiful. 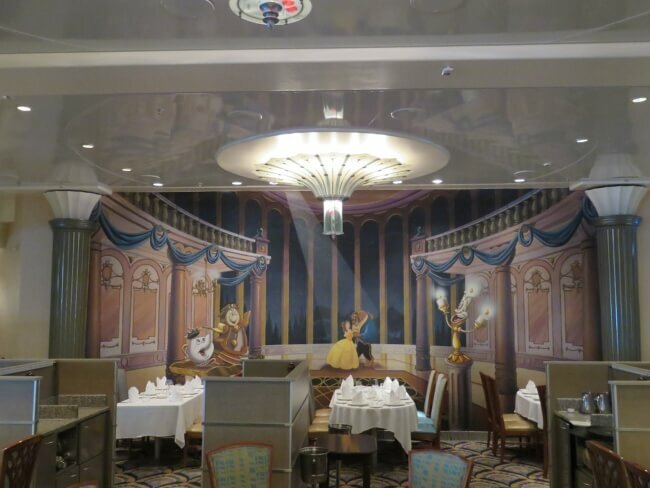 On our prior cruise on the Disney Magic, this was our favorite restaurant. Our seating was in the middle on this cruise, though, and it was loud. This made it less appealing. The other restaurants had entertainment, too. Animator’s Palette serves California cuisine. It is themed on a Disney animation studio. One night, an animation show is presented on screens all around the restaurant. It shows the creation of Disney characters from pencil to full movement. The room gradually turns from black and white to fully colored throughout the meal. The wait staff changes outfits mid-meal, too. It is fun. 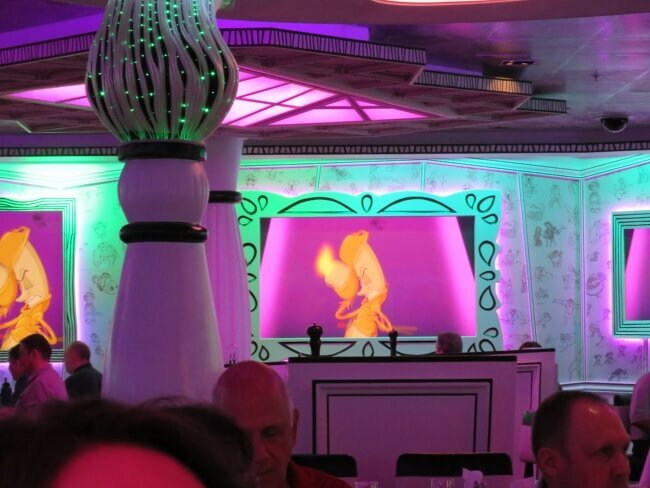 On the second themed evening, diners draw a person which is later fully animated and played on the surrounding screens, dancing with Disney characters. It is a lot of fun for everyone. Rapunzel’s Royal Table replaced Cariocas about a month ago. It is a huge improvement! The Tangled theme absolutely works with German details and menu items. The highlight of the restaurant are the two nights dedicated to Rapunzel’s birthday party. Rapunzel, Flynn Rider, and the Ruffians perform on a stage and then roam the restaurant. Kids and some adults dance in the aisles. A band plays Celtic tunes. Dinner is an event. 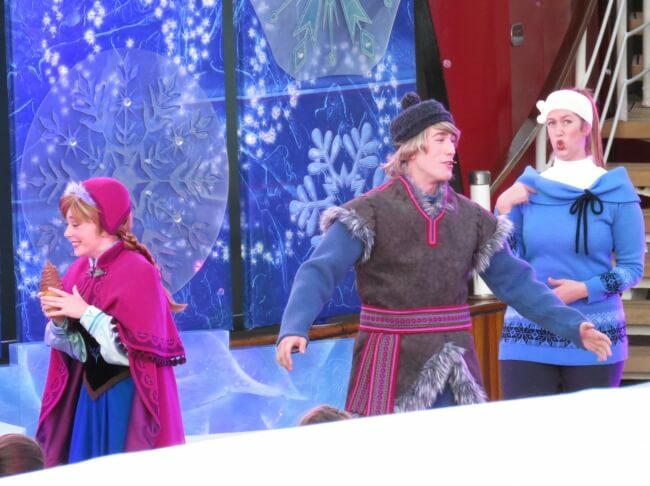 On the Disney TransAtlantic Cruise, four original shows are performed. The first three are broadway style musicals like Aladdin, The Lion King, and Newsies. Twice Charmed puts a twist on the Cinderella story. Tangled: the Musical sets the Rapunzel movie to music. Disney Dreams tells the story of a girl learning to believe her dreams with help of Peter Pan and other Disney characters. All three are top notch and highly entertaining. The fourth, as mentioned earlier, is called Once Upon a Song. I was not as impressed with it. Four singers perform various Disney songs while Disney characters dance with them. A wide variety of acts entertained us throughout the cruise: vocalists, comedians, classical musicians, a Beatles cover band, magicians, and variety acts. Stingfever,a string quartet from the UK who were not only talented, but quite entertaining. We have seen JUNNK now 3 times and have loved every high energy performance. 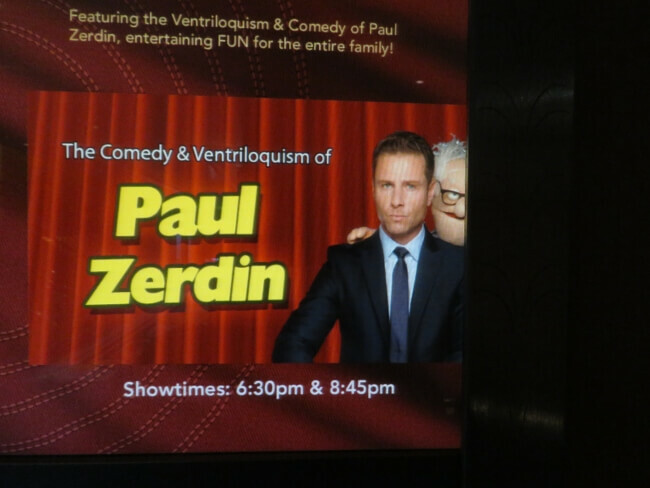 Season 10 America’s Got Talent Winner Paul Zerdin brought his comedy/ventriloquism act to the stage. In addition to the Disney TransAtlantic Cruise special offerings mentioned above, all of the normal activities still continue. Trivia competitions take place all through the day. On this cruise, the competition was fierce. You can enjoy the pool, water slide, the AquaDunk, crafts, art lessons, ship tours, and more. If you want pampered, Senses Spa has you covered. 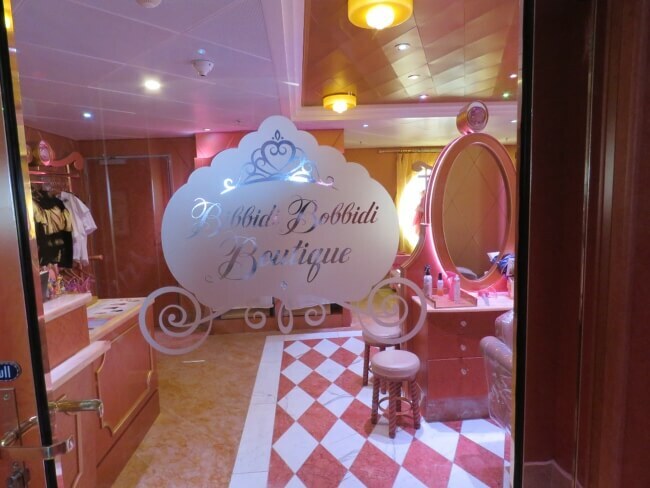 Oh, and don’t forget the Bibbidi Bobbidi Boutique! Kids of all ages have their own “clubs” on board with supervised activities. There are three pools: one adult only, one family pool, and one kids pool. None were crowded, but the adult pool remained the busiest. The After Hours entertainment section of the ship has three clubs that are open only to adults after 9 p.m. O’Gills is an Irish pub that hosts sing alongs, trivia, sports and Irish music. Keys is a piano bar. The Fathoms disco hosts comedians, musical acts, silent discos, game shows, trivia, and karaoke. 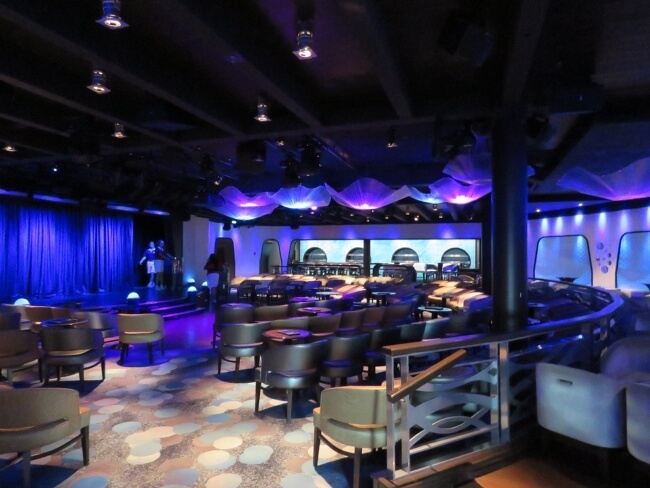 The Promenade Lounge on Deck 3 midship hosts music performers, trivia, and even live coverage of the royal wedding. 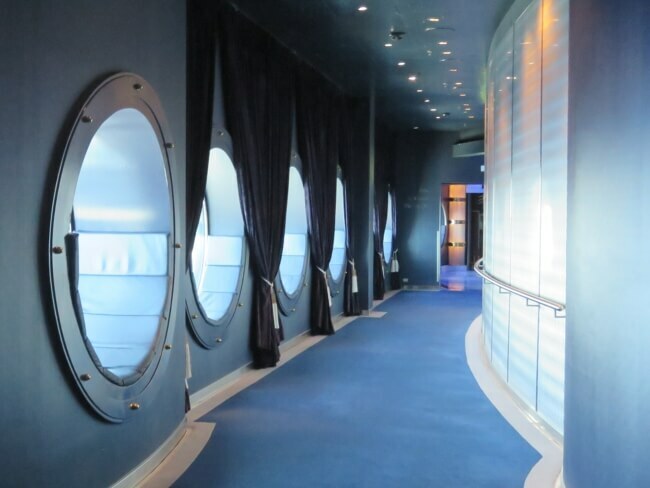 The Cove on Deck 10 forward is always adults only and is a nautical themed lounge. Our wonderful server, Hellen, on Pirates Night. The crew of the Disney Magic does all that it can to make the cruise memorable. Spectacular service was found throughout. Our dining servers were pleasant and helpful. Cabin stewards work hard, but are always friendly and smiling. The Help Desk was truly helpful. We have found this to often not be the case on other ships. The Cruise Staff Team kept activities going all day, everyday. Of the five ships that I have sailed, the crew of the Disney Magic is the best. The Disney TransAtlantic Cruise costs less per night than any other Disney cruise. Our 13 night TransAtlantic cruise cost about 2/3 the price of a 7 night Disney Alaska cruise. This makes it a great value. Disney cruises are more expensive than most value or moderate priced cruises. 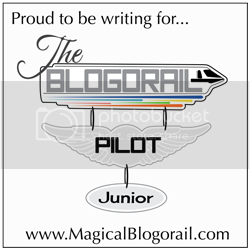 Passengers are not nickel-and-dimed, though. Overall, the Disney TransAtlantic Cruise is a great value for a once in a lifetime experience. For most who enjoy cruising, the Disney TransAtlantic Cruise is a dream come true. Adults of all ages and children older than 1 year all have plenty of activities and space. As I mentioned earlier, it is like taking two back to back cruises: 1 week at sea and 1 week touring the coast of the Iberian peninsula. Both parts are equally amazing. If you have never cruised, then this might not be the best primer. 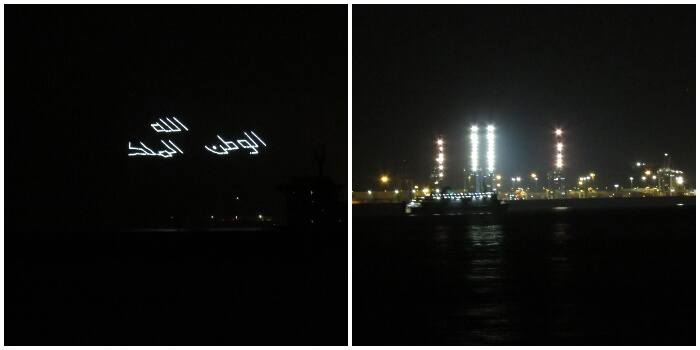 2 weeks at sea for those who suffer sea sickness is unimaginable. Those who enjoy gambling might be disappointed, too. Disney Cruise ships have no casinos. You can play Bingo, though. 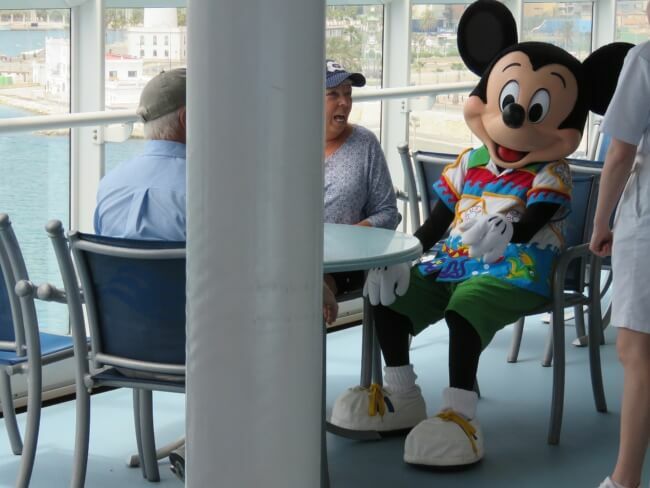 The Disney TransAtlantic Cruise is laid back and casual. If you prefer things more formal and sophisticated, then it might not be the best choice for you, either. Again, we loved it so much, that we have already booked it again for next year. Next year’s cruise will be almost the same, except Ibiza has been dropped and Cartagena added.